When President Trump issued a series of executive orders attacking the rights of federal government workers, he wasn’t prepared for the response from working people. 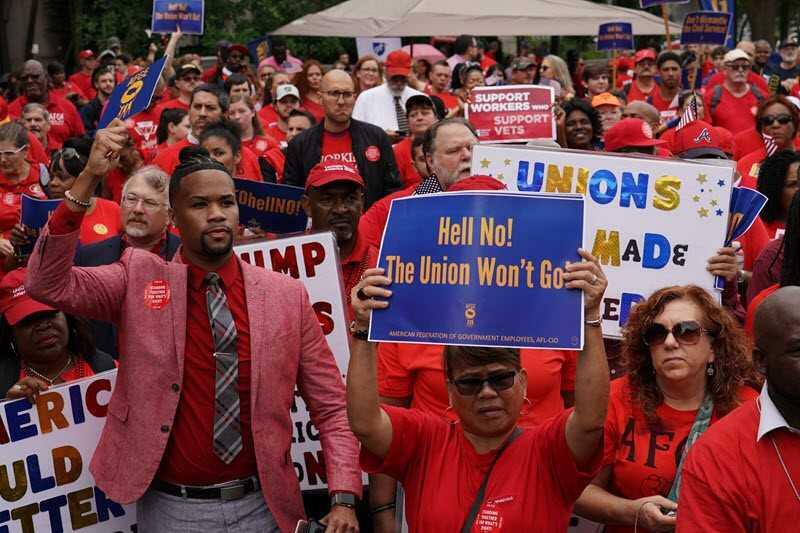 The labor movement’s response, led by the American Federation of Government Employees, included filing lawsuits to stop the orders and rallying across the country in support of federal workers. Now a federal judge has agreed with working people that these executive orders are illegal. This article appears courtesy of the AFL-CIO Blog. Oregon Public Broadcasting has the latest from Washington state, including a district-by-district roundup of news. Click here to read the report. The Washington Education Association has an interactive map of where settlements are happening. Click here to learn more. 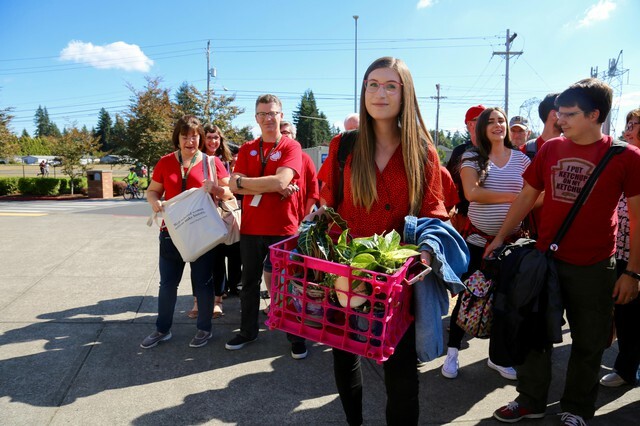 Click here to view the Washington State Labor Council’s coverage of the strikes. NAFTA has been devastating for workers. To date, over 682,000 American jobs have been outsourced due to the agreement. Click here to take action and call for a NAFTA that works for working people. We have fought hard for trade policy that works for working folks and now is not the time to let up. Oregon’s Fair Work Week Law (S.B. 828) went into effect July 1, 2018. UFCW Local 555 has created guides to several parts of this law. Click here to learn about how this important law has been implemented. Thank you to UFCW Local 555 for working hard to pass this law in the 2017 legislature and for putting together these helpful resources! Monday is Labor Day! Click here to find a picnic near you. This year Oregon’s unions are hosting picnics and gatherings in Portland, Ashland, Bend, Eugene/Springfield, La Grande and Salem.